Admit it. 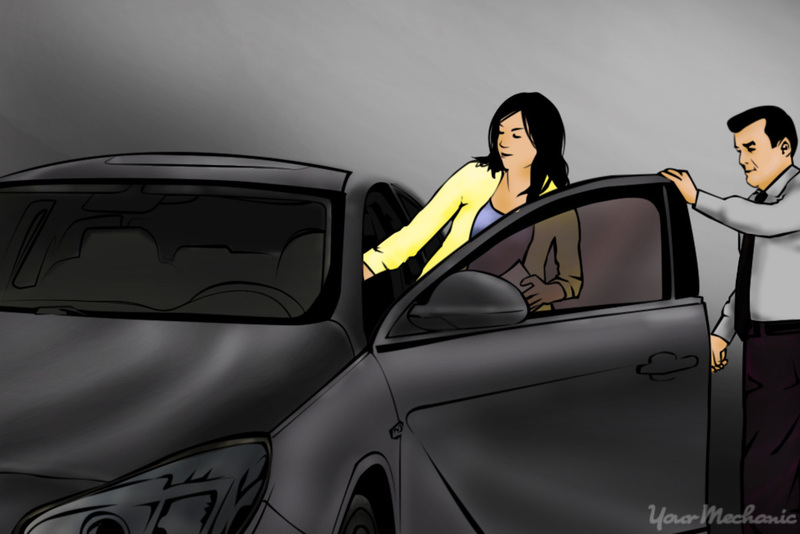 As a car salesperson, you’ve probably been stereotyped by your customers. And while there may be a few bad salespeople out there, you know that the majority, yourself included, are hardworking and decent. Still, from the moment customers step onto that car lot, they begin to project their assumptions onto you, the salesperson, which can affect the way they interact with the person who is supposed to be their guide in what is such a major transaction, the buying and selling of a new car. 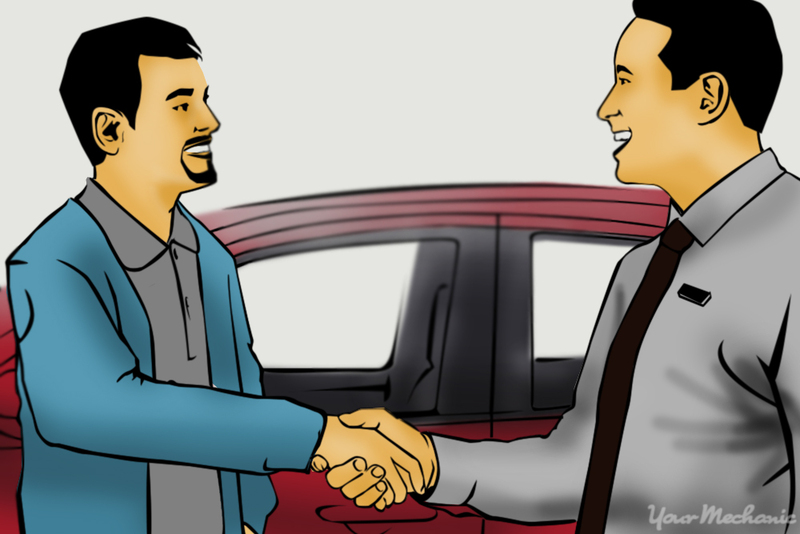 This article will give you some tips on how to be a good car salesperson despite any assumptions from potential car buyers, whether you want to make a career out of it, or just sell the car sitting in your driveway. Remember that the customer is the most important person in this transaction. Even though a sale may affect your and/or the dealership’s bottom line, often the deal doesn’t get done unless the customer is comfortable. Successful salespeople, both commercial and private, empathize with the customer. We’ve all been on the other side of the negotiating table, so try to remember how you felt when you first bought a car. Every customer is different. One approach may not necessarily work with every person who walks in the door, so you’ll have to adapt. Step 1: Greet the customer. In that first interaction, shake hands and smile. You want to make the sale a positive experience from beginning to end. Step 2: Engage in small talk. When talking with the customer, expand the conversation. Yes, this person is here to buy a car, but allowing the customer to talk about themselves, or engaging in small talk, is a way to create customer confidence in you. Step 3: Read the customer’s body language. Do your best to read the customer’s body language in the first few minutes. If he or she seems tense and nervous, be considerate. If the customer seems more confident, let him or her dictate the introduction. You may even want to let the person look at some cars privately and then call you over when he or she has questions. It is important to make the customer feel empowered. Step 4: Be sure to listen. Often you can get a sense of a customer’s interest in the first few minutes. If a customer seems more interested in browsing for now, give him or her your card and suggest that the customer seek you out when he or she does want to buy. Even if the person doesn’t come back, you’ve left him or her with a positive impression of you and/or the dealer. After introducing yourself and evaluating a customer’s interests and body language, you can begin to ask the important questions that will help the customer find the vehicle that he or she wants. Step 1: Ask what kind of vehicle the customer is looking for. Be prepared to answer any questions he or she may have. Many car manufacturers offer different kinds of sedans, SUVs, and pick-ups. Take the time to read up on your inventory so that you can make sure you are directing the customer to look at the cars that best match what he or she wants. Knowing your inventory can be particularly helpful if a customer is looking at a car that may not have all of the features he or she wants. This can be a great opportunity for you to show off another product. Step 2: Avoid giving broad yes or no answers to questions. Customers will appreciate it when you can be specific about facts, figures, and products specifications. For example, if a customer shows interest in a fuel-efficient vehicle and asks whether you carry any, instead of simply answering, “Yes,” let him or her know exactly what vehicles you have that might fit the bill. Step 3: Direct the customer to a car or cars that fit his or her interests. Once you’ve got a good idea of what the customer wants, invite him or her to follow you to a car or set of cars that you think might meet that person’s needs. Step 4: Explain any current sales or deals. Make sure the customer is aware of any sales or lease deals that may be available. A customer may not have considered a lease and the lower price may be incentive enough to make the sale today. Tip: Keep in mind that treating the customer as an individual and not a dollar sign will enhance their buying experience. Warning: Never lie to a customer. This is especially important with private sales as misinformation is not only deceitful, but can be potentially dangerous or illegal. Customers may be testing you by asking difficult questions that they know the answer to and will know when you’ve said something untrue. Honesty is the best policy as it allows the customer to trust in your expertise. Step 1: Let the customer inspect the car. 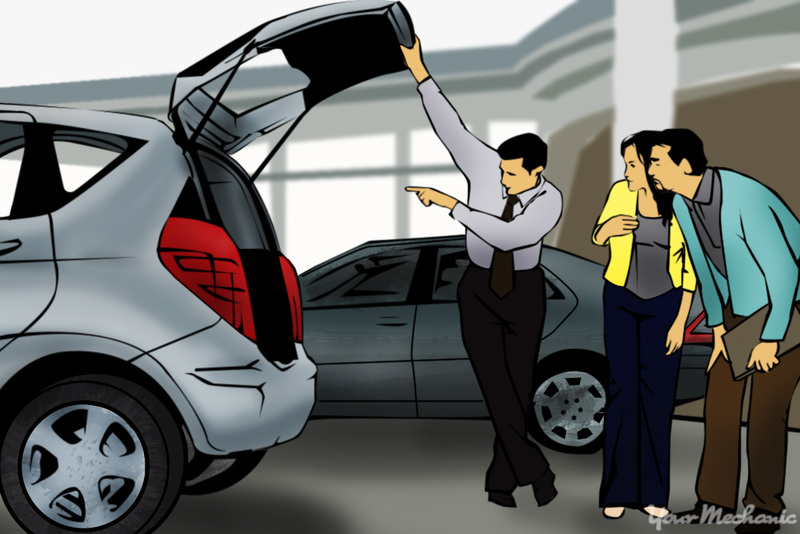 Once you’ve brought a customer to a vehicle you think he or she may like, allow him or her to examine it. Make sure to bring the keys with you so that the customer can look inside, sit in it, and picture him or herself driving this new car. Step 2: Begin discussing budgets. The customer may have seen the sticker price at this point and will begin to transition the conversation from vehicle to price. This is an important time to make customers feel comfortable. Let them know that you’ll do your best to get them a price they can afford. Tip: Customer’s may lie about how much they actually can afford. A successful salesperson should know the point at which a good deal becomes bad for business. Ensure the customer that they are getting a getting a good deal. 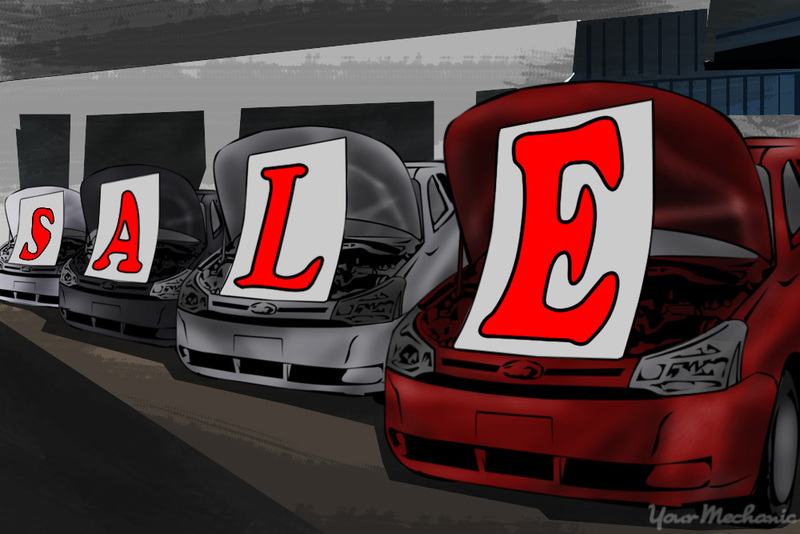 This can be the toughest moment for a salesperson and a major reason why car salespeople sometimes get a bad rap. While it can be difficult to try to be compassionate, be firm with customer. Step 3: Take the customer on a test drive. The test drive is another chance to gauge the customer’s interest in a car. 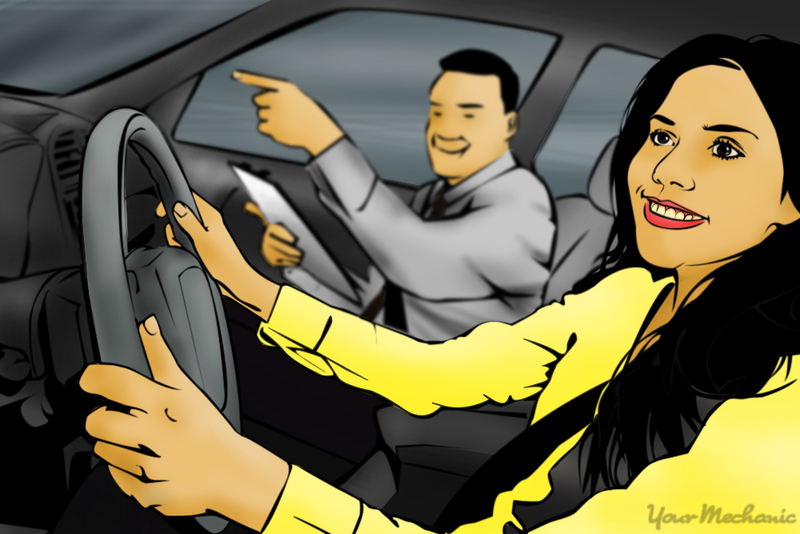 Ask the customer questions, but try not to distract him or her from driving. 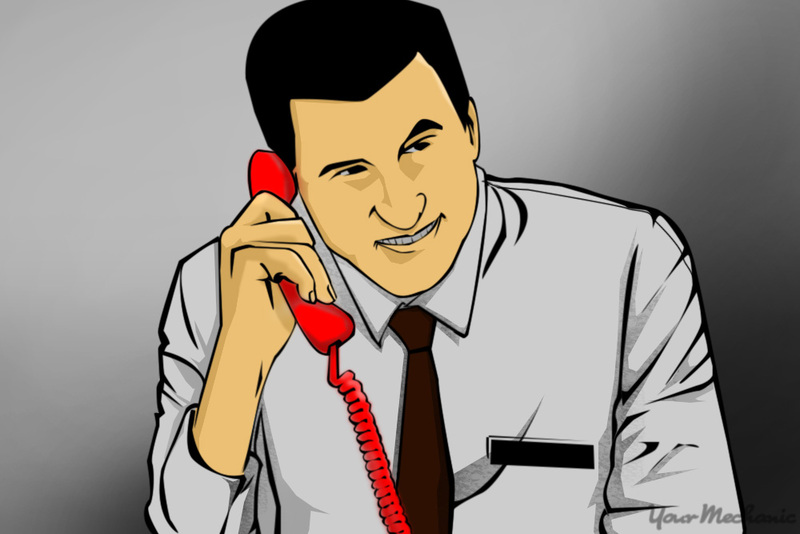 Small talk is great, but not if it ends with you and your customer in a ditch! Allow the customer to test features like the radio, cruise control, heat, and A/C. Take the customer on a prescribed route that is both safe and allows the customer to see as many of the car’s features in action as possible. Step 1: Bring the customer into the office. After the test drive, you’ll want to bring the customer into the office to continue discussing the potential sale. This can also be a difficult moment for some salespeople, trying to find the language to transition the conversation to money. You can begin by asking the customer what he or she liked about the vehicle and if he or she would be interested in buying today. Step 2: Discuss monthly payments. 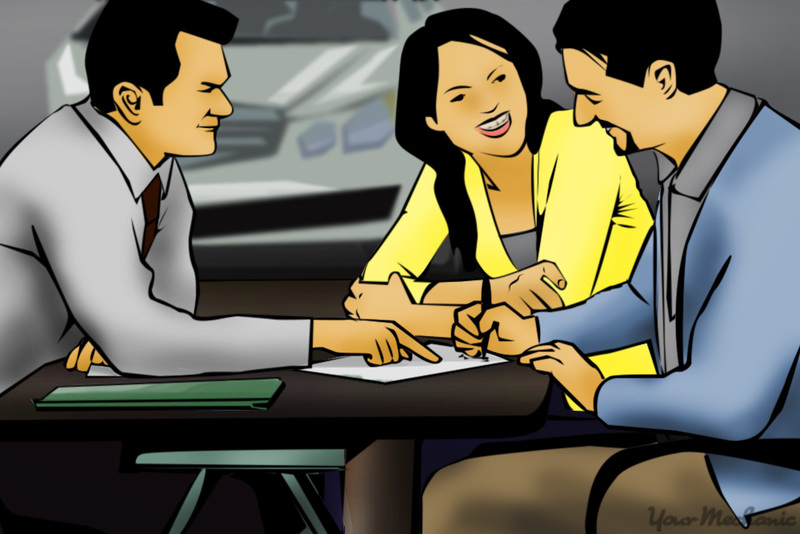 When the customer is ready, sit with him or her and discuss monthly payments. Talking in terms of monthly payments instead of sticker price can make the overall price of the vehicle more palatable to the customer. Step 3: Explain the terms of the lease option, if applicable. If the customer would like to lease a vehicle, explain the terms of the lease. Make sure the customer is aware of the allowed mileage and length of the lease. If there are any included maintenance deals, make sure the customer knows about them. 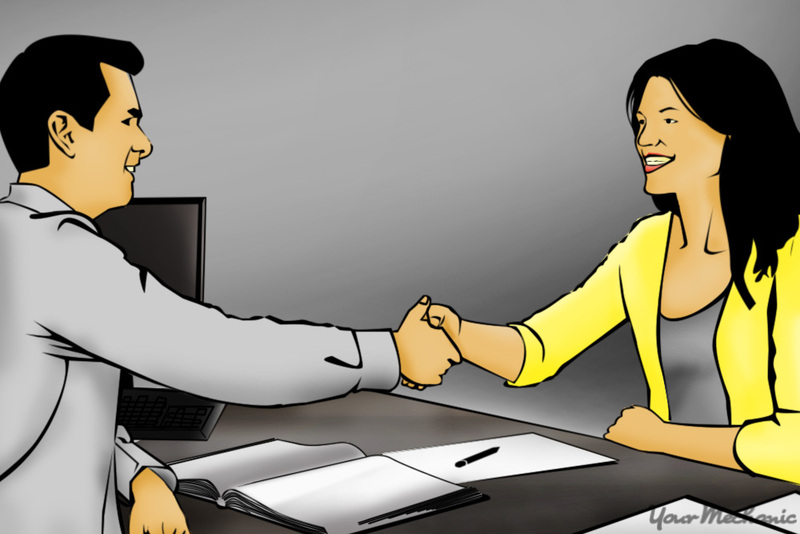 Step 4: Engage your manager in the negotiations. The negotiations may mean several trips between the customer and your manager. When the customer tells you what he or she can pay a month, telling your manager a slightly lower amount will increase the customer’s trust in you. Be sure to revisit the customer every few minutes. Customers will notice if you disappear for long periods of time without checking in. Step 5: Make the customer an offer. When your manager gives you a price, offer it to the customer. If the customer hesitates, explain the numbers. See if the customer is interested in extending the term of the payment. More time to pay off the car may lower the monthly payment and make it easier for the customer to accept the terms of the deal. Be willing to go back to your manager to see if the price can be lowered or the terms of the payment can be extended. If so, make the new offer to the customer. Step 6: Complete the paperwork. When the customer accepts the terms of the deal, help him or her fill out the appropriate paperwork and arrange a pick up date. If your dealership offers maintenance like a free oil change, help the customer schedule the necessary service. Tip: The customer may not be able to make the deal. If you and your customers cannot come to an agreement on terms that work for both them and you and/or your dealership, let them know that you tried and urge them to revisit if they change their minds. There may be an urge to bad mouth other dealerships, especially if a customer feels he or she can get a better deal elsewhere. Instead, stick to explaining that you tried to get the best deal possible, and avoid bad mouthing other dealerships as it affects the way you and/or the dealership look to the customer. Step 7: Assure the customer that you care. After the paperwork has been signed, offer the customer your card and urge him or her to call you if he or she has any issues. Letting the customer know you care, even after the sale, can help you earn some repeat customers. Step 1: Have the customer fill out a survey if applicable. 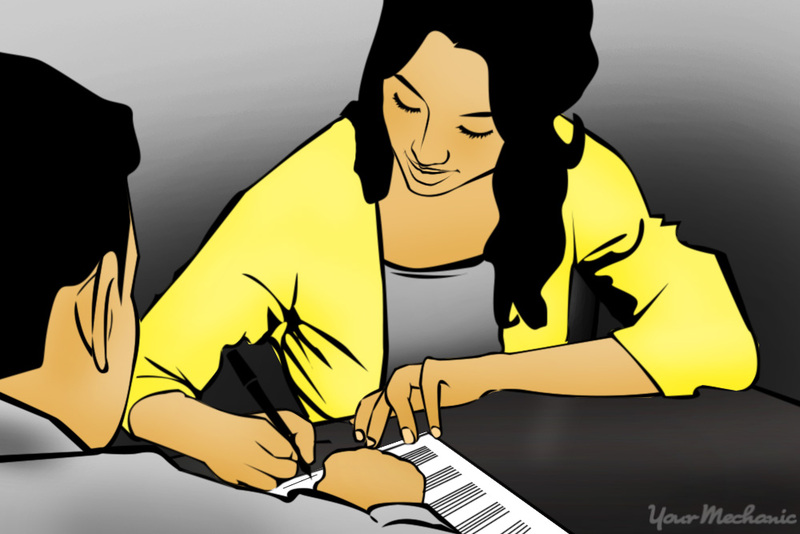 After the sale, customers will typically fill out a survey about their experience. Scores on these surveys are important to dealers and should be important to you. Consistently receiving high scores may lead to a raise or bonus. Step 2: Stay in contact with the customer. It’s always good to follow up and make sure the customer is still satisfied with his or her new car. When you stay in contact with your customer, you may get referrals to do more business with relatives or friends of the original customer. Completing a successful sale is a matter of tact, patience, and good customer-oriented service. 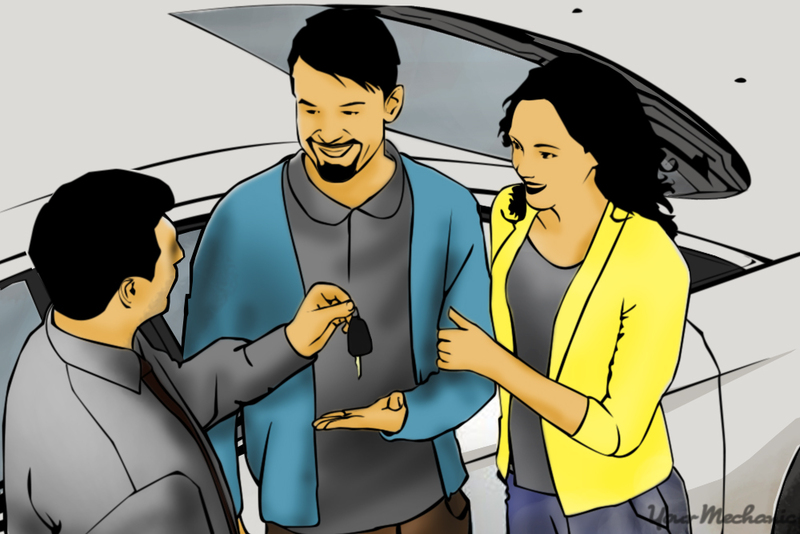 If you approach the customer as an individual and address that person’s particular needs, he or she will be appreciative of that and much more open to buying a car with you. Keep in mind that customers have many choices when deciding where to buy their next car, so it is up to you to make their buying experience as rewarding as possible so that they will want to buy from you and/or your dealership and not from someone else.